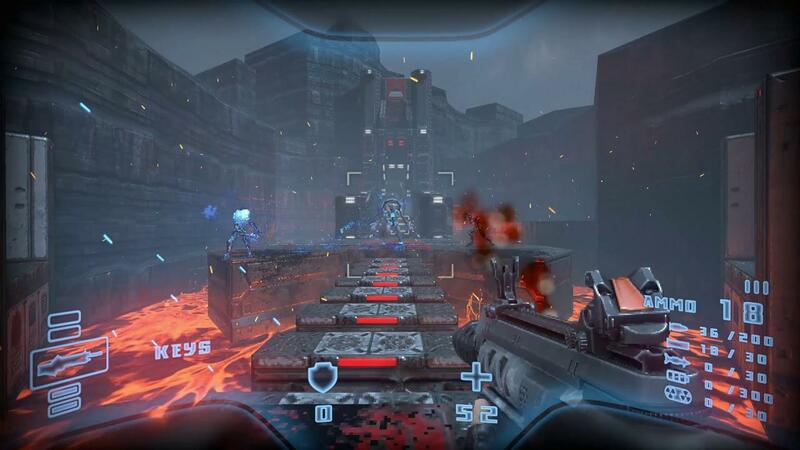 Seriously loving this revival of retro-looking first-person shooters coming out lately, with Prodeus being another that's now on Kickstarter and it does look very impressive. PC platforms includes Linux and Mac! Surprising really to see a developer not use "PC" to simply mean Windows, it's not something we see very often. I did suggest they make it more clear but they haven't done so yet. The campaign has until April 24th to get $52,500 and they've already got over $14,000 backed so it's looking like they should quite easily get funded. Not surprising, I think it looks fantastic. They said the campaign funding is to help bring in additional developers like artists, designers, animators, and engineers to expand the content for release. As for the release, it's expected to enter Early Access this "fall" (which should include Linux support going by what they said) and the full release next year. Head over to the Kickstarter here and wishlist on the Steam page. I love this style, it's immersive as it differentiates and defines a world that engages the player. And that's a fundamental core trait of a good game in my book -- immersion. I would definitely buy more of these style games. Looks ugly, totally misses the point of pixel art. Rugaliz Looks ugly, totally misses the point of pixel art. To each their own, I love the style to it. There's no one single point to any art style, saying so would be quite an elitist attitude IMO. Apart from the pixelation filter, it looks more like Doom 2016 than something retro. A bit odd. But the Kickstarter page suggests you can turn off the pixelation and just have it 1080p. Sorry to be "that" guy, but please: How many litres of blood are in those things? Are they simply water balloons? I have to admit that I like the looks of this one. Their art style is definitely what I would call inspired by, not a copy of, old school shooters. The more modern influence helps me enjoy it on more modern (higher resolution) monitors. That's just a personal preference thing. Let's hope this one comes out and lives up to what the video shows. Looks very interesting i always like these types of games really enjoy playing Ion Maiden, would be cool if it gets a multiplayer as well we could use some more Fast pace arena shooters. For a retro-style game, I think it looks very good indeed. They hint that the game is very customisable in their developer chat section, and I'd probably dial-down the amount of blood if I was playing. Honestly, even though they say "retro" a lot, It doesn't look like anything earlier than Half-Life 2. So not all that retro, especially if you turn off the artificial pixelation. Not seeing a lot in the video that sets it too far apart from the other shooters coming out though, so I guess they have to sell it on something. I am not much of a FPS gamer but in my opinion, it looks good and the low resolution seems to work out well in that trailer.